Offering Provides an Economical Vehicle Monitoring, Tracking, and Recovery Solution. 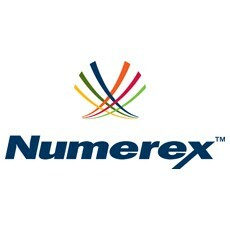 Numerex, a leading provider of interactive machine-to-machine (M2M) solutions enabling the Internet of Things (IoT), today announced the launch of FASTrack PrePaid – a new, low-cost, turnkey offering that combines advanced vehicle tracking, monitoring and recovery, and other desirable features into one, simple-to-use, economical solution. Using FASTrack PrePaid, fleet managers and dealers can provide vehicle owners with a solution that offers driver-behavior monitoring as well as an economical tracking and recovery solution for their vehicles. The easy-to-deploy offering is built on Numerex’s award-winning, cloud-based platform and is coupled with the Numerex network. The offering is available as a bundled solution with options for 24 or 36 months of prepaid service. Driver safety and security features enable the ability to monitor vehicle fluid levels, to receive maintenance reminders, and to perform remote door unlocking. Driving behavior patterns including excessive speeding, braking and idle time are also automatically logged and can be used to identify opportunities to improve fuel efficiency and general road safety. Vehicles can also be effectively monitored with user-defined “geo-fences” that trigger web portal, email, or text message alerts should the vehicles venture beyond pre-set boundaries or routes. In the event of theft, the vehicle starter can be remotely disabled, helping facilitate recovery. A viewable route history also helps monitor, track and trace vehicles as necessary. FASTrack PrePaid is compatible with a range of popular vehicle monitoring devices. The application is accessible from smart phones, tablets, laptops and desktop PCs.